Once you catch your breath in Utah’s highest elevation city and sit down and write, Peanut Butter publishing or Classic Day publishing is waiting for you. Salt Lake City authors work diligently and this has led to very enticing and successful published work. The beautiful snow-capped peaks of the Wasatch Mountain range capture the interest of many, but the books published by the authors near this great place will impress you too. Become a part of this elite group of authors and see your work deservingly take form in a published book. Salt Lake is a very active city both physically and creatively, and we can help you along your journey. Minnie is a creative and detailed oriented woman. Her outstanding poetry has provoked intense emotional responses from her readers. Her recreation of sensory details shows her childhood and adult experiences. Being raised by her grandmother, she now treasures her rigid upbringing, which resonates with her family. Memories of laughing with her children, being overwhelmed by work and marriage, even questioning political and historical events fill her nightly journal, a reprieve from daily frustrations as well as a place to speak without judgement. Minnie’s work has appeared in several journals and exhibits, such as: Innovations Abstracts (University of Texas at Austin), Threads (Author House 2009) and Quiet Shorts 2011. Her book is available at several book stores in the northwest. Salt Lake’s authors are very passionate. 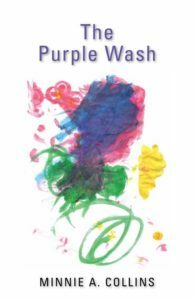 Peanut Butter publishing or Classic Day publishing gives authors the opportunity to have their say. Books are an amazing avenue for people to share their ideas. Jennielean Nielson wanted to share hers. 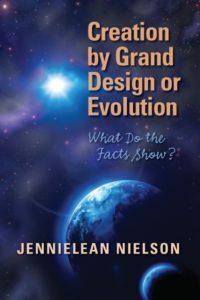 This book takes on the ongoing debate between evolution and the Grand Design, challenges the scientific method, and what she believes constitutes as truth. Take the opportunity to read her ideas and her thought-provoking material.